The Alliance of Women Coaches has announced a new member, Southern Utah University Athletic Director Debbie Corum, to join the Board of Directors. Corum begins a three-year term this month. “Debbie is a well-respected and accomplished administrator with a wealth of experience. We look forward to the leadership she will bring to our talented group of Board members,” said Dr. Cecile Reynaud, president of the Alliance’s Board. 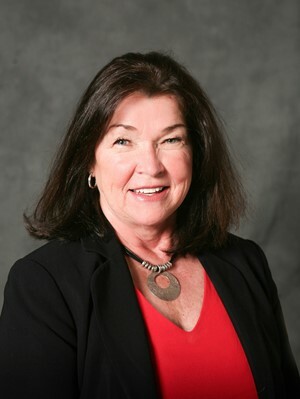 Corum became the first female NCAA Division I Athletic Director in the state of Utah in November 2017 after serving as the Interim Athletic Director for the previous five months. At Southern Utah University, Corum oversees 17 athletic programs, coaches, staff and more than 350 student-athletes. 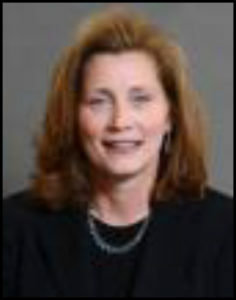 Prior to Southern Utah, Corum was the Senior Associate Athletic Director-Senior Woman Administrator at the University of Connecticut. She served as the Chair of the American Athletic Conference SWA Committee and was a member of several other esteemed groups, including the NCAA Division I Women’s Basketball Committee, the National Association of Collegiate Women Athletics Administrators (NACWAA) Board of Directors, the AAC Strategic Planning Task Force and the AAC Athletics Director’s Executive Committee. Before taking a position at UConn, Corum spent time at the Southeastern Conference (2000-2012) as the Associate Commissioner of Sports Administration. Corum was familiar with the SEC, after spending time there from 1989-1994 as a Director of Championships, as well as an Assistant Director of Championships. She also spent four years at Louisiana State University (1996-2000) as an Associate/Assistant Athletic Director for their Olympic Sports after spending two years at Stanford University (1994-1996) as an Assistant Athletic Director of Intercollegiate Sports. The Alliance of Women Coaches was founded in 2011 and has become the premier organization dedicated to leading the field of women coaches, at all levels, by providing support, resources, and unparalleled events and programs. For more information on the Alliance of Women Coaches, the NCAA Women Coaches Academy, and Academy 2.0, visit www.gocoaches.org. The Alliance of Women Coaches hosted the 43rd class of the NCAA Women Coaches Academy (WCA) and the inaugural class of Academy 2.0 last week at the Hilton Denver Inverness in Englewood, Colorado. Forty-eight female coaches of all experience levels and sports from NCAA Division I, II and III gathered for four days of non-sport-specific educational training at the NCAA WCA. In response to a desire for additional growth opportunities from graduates of the NCAA Women Coaches Academy, the Alliance created Academy 2.0, a master class for WCA graduates. Class #1 of Academy 2.0 consisted of ten female coaches representing various sports across the country. Corliss Fingers (Director of Strength and Conditioning at Bethune-Cookman University) and Leslie Payne (Head Cross Country/Track & Field Coach at Meredith College) were selected as the Judy Sweet Award winners for NCAA Women Coaches Academy Class #43. This award, named after Alliance co-founder Judy Sweet, recognizes two members at each Academy whose spirit and dedication to their own and to others’ personal and professional success has made an impact on their peers. The honor is granted via nomination by fellow classmates. Missy Price (Head Soccer Coach at Wellesley College) was selected as the Cecile Reynaud Coaching Mastery Award winner for Academy 2.0 Class #1. This award, named after Alliance Board of Directors President Dr. Cecile Reynaud, recognizes a member of each Academy 2.0 who embodies the characteristics of Coach Reynaud: leadership, commitment to personal development and the advancement of others, and a deep care and respect for the game. This award is granted via nomination by fellow classmates. The Alliance of Women Coaches and Tucker Center for Research on Girls & Women in Sports release the first-ever tracking report on graduates of the Alliance’s NCAA Women Coaches Academy (WCA). “The WCA Graduate Tracking Research Project is the first of its kind to examine and document the career trajectories of women coaches who have attended the NCAA Women Coaches Academy over time,” said Dr. Nicole M. LaVoi, Co-Director of the Tucker Center. “The applications of this data are numerous and hopefully far reaching as we work collaboratively to increase the recruitment, hiring and retention of women coaches. The Tucker Center faculty and students are honored to be at the forefront of this important research initiative,” stated LaVoi. The study examined the coaches who attended the nine NCAA Women Coaches Academies from December 2014 through June 2017. The data provides one perspective on how the Academy is effective, important and needed in the lives of women coaches. The study showed that graduates are advancing in the profession, with 9% of the coaches “moving up” and achieving higher positions in a very short time. Perhaps most importantly, the report illustrates that coaches who attend the NCAA Women Coaches Academy are staying in the game at a very high percentage (95.7%). “We are very pleased with this first set of data highlighting the impact of the Academy in the development of women coaches. Feedback continually tells us the Academy is transformational. Now we have actual data we can build upon in advancing our initiatives to educate and support females in the profession,” said Megan Kahn, executive director of the Alliance. For more information on the Alliance of Women Coaches and the NCAA Women Coaches Academy, visit www.gocoaches.org. For more information on the Tucker Center for Research on Girls & Women in Sport, visit www.tuckercenter.org. The Alliance of Women Coaches announced today the Coaches Council members who will serve for the 2017-18 academic year. The Coaches Council is a sounding board for the Executive Director to ensure that the Alliance is thoughtfully and strategically serving women coaches from all sports and all levels. Additionally, members serve as ambassadors for the Alliance in their respective coaching communities and networks. Each member will serve a two-year term. Full biographies of Coaches Council members are available on our website. The Alliance of Women Coaches announced today that it has formed a new partnership with adidas. Both Megan Kahn, Executive Director of the Alliance, and Beth Bass, Director of Women Sport’s Marketing for adidas America, said they are thrilled to unite the two organizations to support women coaches on all levels. The Alliance of Women Coaches was founded in 2011 and has become the premier organization that empowers the community of women coaches, across all sports and levels, with the education and resources they need to stay and advance in the profession. By providing a supportive network, inspiration and knowledge, and access to in-person and digital platforms, the Alliance is changing the landscape for women in coaching. For more information on the Alliance of Women Coaches, visit www.gocoaches.org. The Women’s Basketball Coaches Association announced today a new partnership with the Alliance of Women Coaches that will benefit the WBCA’s long-running and highly successful “So You Want To Be A Coach” education program. The WBCA “So You Want to Be A Coach” program assists female collegiate basketball players who are interested in pursuing a career in coaching by providing them with professional development and career networking opportunities. WBCA member coaches, athletic administrators and other experts in the sports industry provide participants with a two-and-a-half-day crash course in the challenges of being a modern-day coach. The Alliance will provide speakers for the two-day in-person “So” program held each year during the WBCA Convention as well as the “So” webinar series which continues their education. The Alliance also will encourage the advancement of “So” alumni into the coaching profession and help track them through their coaching journey, and will assist with recruiting sponsors to help fund the program. “We are excited that the Alliance of Women Coaches has chosen to partner with us as we take this already highly successful program to the next level,” said Donehew. The WBCA “So” program has graduated 814 participants in its 14-year history. Of these, 54 percent (not counting the 2017 class) are currently working in women’s or girls’ basketball at various levels of the profession. A total of 53 “So” alumni are head women’s or girls’ basketball coaches (five in NCAA Division I, three in NCAA Division II, 11 in NCAA Division III, one in the NAIA, four on the two-year college level, and 29 on the high school level). Founded in 1981, the Women’s Basketball Coaches Association is the professional association for coaches of women’s and girls’ basketball at all levels of competition. The WBCA offers educational resources that coaches need to help make themselves better leaders, teachers and mentors to their players; provides opportunities for coaches to connect with peers in the profession; serves as the unifying voice of a diverse community of coaches to those organizations that control the game; and celebrates those coaches, players and other individuals who excel each year and contribute to the advancement of the sport. Visit www.WBCA.org for more details about the Association. The Alliance of Women Coaches hosted the 41st class of the NCAA Women Coaches Academy (WCA) from May 31-June 3 at the Hilton Denver Inverness in Englewood, Colorado. Forty-seven female coaches of all experience levels and sports from NCAA Division I, II and III gathered for four days of non-sport-specific educational training. The NCAA Women Coaches Academy was held in conjunction with the Women Leaders in College Sports program, the NCAA Institute for Administrators Advancement. The two organizations held a joint session bringing female coaches and administrators together for focused dialogue, learning and networking. Carroll University Head Softball Coach, Amy Gradecki, and University of Memphis Head Volleyball Coach, April Jauregui, were selected as the Judy Sweet Award winners for Class #41. This award, named after Alliance co-founder Judy Sweet, recognizes two members at each Academy whose spirit and dedication to their own and to others’ personal and professional success has made an impact on their peers. The honor is granted via nomination by fellow classmates. For more information on the Alliance of Women Coaches, visit www.gocoaches.org. The Alliance of Women Coaches and ARMS Software have announced a partnership which will extend the mission and reach of both organizations. ARMS Software has a singular mission to change the future of college athletics administration forever. They are the most innovative, fastest growing technology company in the college athletics industry and are currently working with over 100 university athletic departments across the country with dozens of new clients being added every quarter. The ARMS team is a group of veteran, proven technology entrepreneurs that have built some of the most successful software companies in North America over the past 20 years. Along with this technology expertise, the ARMS leadership team has been involved in college athletics as student-athletes, administrators, university board members, and major philanthropists for decades. The Alliance of Women Coaches was founded in 2011 and has become the premier organization that empowers the community of women coaches with the education and resources they need to stay in the game and inspires others to follow in their footsteps. The Alliance of Women Coaches has joined Snodgrass Partners, Inc. as an allied partner. The partnership extends the mission and reach of both organizations. The Alliance of Women Coaches was founded in 2011 and is dedicated to leading the field of women coaches – of all sports across multiple levels – by providing support, resources, and unparalleled events and programs for education and career development, including the premier NCAA Women Coaches Academy. The Alliance joins other thought leaders who serve as allied partners for Snodgrass Partners, including The Kovacs Institute, Forward Progress Athletics Consulting, Moore Leadership, and True North Sports. Founded in 2001 by former NCAA Division I athlete and coach, Steve Snodgrass, Snodgrass Partners is an Executive Search and Consulting firm that has conducted hundreds of successful assignments for regional, national and international organizations. The firm’s new Sports Recruiting and Consulting practice offers a rare combination of intercollegiate athletics experience and proven recruiting success to identify coaches for intercollegiate Olympic sports programs and professional/leadership talent for tennis and golf clubs. For more information on this partnership, visit www.gocoaches.org. The Alliance of Women Coaches adds three new members to their Board of Directors, as announced by Cecile Reynaud, Board President. “Our three new Board members are an outstanding addition to an already talented Board of Directors. They each bring a particular expertise and vast experience in a variety of areas to continue to grow the Alliance of Women Coaches as an organization. Their service and ideas will assist the Alliance in supporting our members in every sport and at every level,” said Reynaud. Dr. M. Dianne Murphy, former director of athletics at Columbia University and Denver University, will begin a three-year term this month. The past fall, she was named a 2016 NACWAA Lifetime Achievement Honoree for her tremendous contributions to intercollegiate athletics. Dr. Murphy presided over one of the most successful periods in Columbia University Athletics history, capturing 30 Ivy League titles in 12 different sports and one NCAA championship during her 11-year tenure. She remained connected to her basketball roots by serving on the NCAA Division I Women’s Basketball Committee and the State Farm Wade Trophy Women’s Basketball Player of the Year Committee. She also developed an elite leadership-training program for college women’s basketball coaches, The Center for Coaching Excellence. 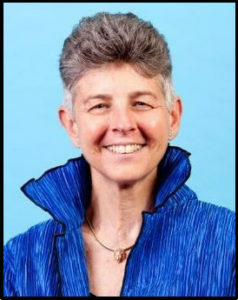 Dr. Murphy also served as the University Advisor on Athletics Issues until retiring from Columbia on June 30, 2016, when she joined The PICTOR Group as a senior partner. Elizabeth M. King will also begin a three-year term on the board of directors. She is the managing partner of Elizabeth M. King Consulting, LLC, specializing in HR Management consulting, leadership, and coaching. King recently retired as the vice president of Human Resources Solutions and Services for Starbucks Corporation. During her tenure, the company grew from 1,100 to 24,400 coffee shops in 4 countries to now 74+ countries. This significant growth provided numerous exciting challenges and opportunities for King during her 19+ years with the company serving in roles in Human Resources and Global Technology. In her last role at Starbucks, she managed Human Resources (HR) systems, including in-house payroll, various HR services and a HR call center for the 180,000 employees in North America. King is known for talent development and provided several career movement opportunities for those on her team throughout Starbucks. She also led the implementation of the company’s global payroll system and several other systems in numerous international markets. King is passionate about the value of women in sports after being a softball student-athlete at Penn State University. She continues to mentor and give back to the Nittany Lions. 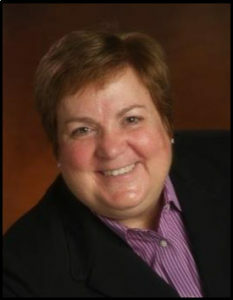 Julie Hermann also assumes a three-year term on the Alliance Board of Directors. Hermann most recently served as the director of athletics at Rutgers University, from May 2013 to Nov. 2015. Hermann’s initiatives and improvements in two years “On the Banks” were far-reaching and impactful, including transition to the Big Ten Conference. She also launched a partnership with IMG College, spearheaded the restructuring of development which lead to a record-setting year with regard to fundraising revenue, and increased the football season ticket holder total to 31,016 in 2014 as the highest in program history. Prior to Rutgers, Hermann spent over 15 years as the executive senior associate athletic director at the University of Louisville, helping them build in excess of $250 million worth of facilities while elevating the Cardinals to national prominence in several sports. Before transitioning into administration, Hermann was a college head coach and USA Volleyball assistant coach. She was the head volleyball coach at the University of Tennessee from 1991-97. Other coaching stints included assistant coaching positions at the University of Georgia and the University of Wyoming, after a stellar All-Big Eight volleyball player at the University of Nebraska. In her years in college athletics, Hermann has served on many community boards and numerous NCAA and conference committees, including chairing the NCAA Division I Women’s Volleyball Committee. She also recently completed seven years of service on the board of NACWAA, serving a four-year term before being on the executive board and becoming president. The Alliance of Women Coaches has announced two additions to their national staff beginning today. Since July 2014, Hannah was the executive director of Sportswomen of Colorado, a nonprofit focused on celebrating and empowering girls and women in sport in the state of Colorado. Previously she spent three years with the Colorado Rapids Youth Soccer Club, overseeing their Soccer for Success program for under-resourced communities in the Denver and Aurora areas, and managed over 3,000 youth soccer players and 350+ coaches and volunteers in their U4-U10 programs. Hannah has coached competitive and recreational soccer for over fifteen years and holds a U.S. Soccer Federation (USSF) B license, a U.S. National Youth License and a NSCAA Urban Soccer Diploma. The Alliance named Katie Brophy Miles to a new part-time position, Membership Engagement Manager. Brophy Miles will also continue her coaching duties as Head Women’s Golf Coach at Georgetown University, where she in her 6th season. In 2016 Brophy Miles earned BIG EAST Coach of the Year honors while guiding the Hoyas to conference championship team runner-up finishes in 2014, 2015 and 2016. Prior to Georgetown, she was an assistant coach at Indiana University, where she helped lead the Hoosiers to three top-five finishes at the Big Ten Championships and four NCAA postseason appearances. Brophy Miles remains active in the Ladies Professional Golf Association as a LPGA Teaching & Club Professionals “Class A” Instructor and LPGA Mentor. This past year, she served as Director of NCAA Partnerships for Women’s Golf Day, an inaugural event sponsored by 400 golf courses in 28 countries worldwide. The Alliance of Women Coaches was founded in 2011 and has become the premier organization dedicated to leading the field of women coaches, at all levels, by providing support, resources, and unparalleled events and programs which address the needs and interests of its members.